As Americans, we aren’t exactly renowned for our reasonable work weeks, maternity leave, or paid time off. Counterintuitively, this can lead to severely decreased productivity as well as stress symptoms and outright breakdowns. Instead of dismissing time off for mental recuperation as a scheme to get out of work, consider instead the following tips for getting the most out of your employees. That is, depression isn’t a contrived way to get out of work. People who live with depression experience its impact in different forms, ranging from mild weariness to full-blown catatonia. Objectively, a bedridden employee is such in any context, be it the flu or a depressive episode; you would likely give the employee with the flu paid time off, and so it should be in cases of mental illness as well. The same goes for any number of mental health instances, the span and depth of which this document cannot adequately address. From depression to anxiety, mental health can just be impactful on an employee as a physical illness (like a cold or fever), though the symptoms may not be as forthcoming on the outside. 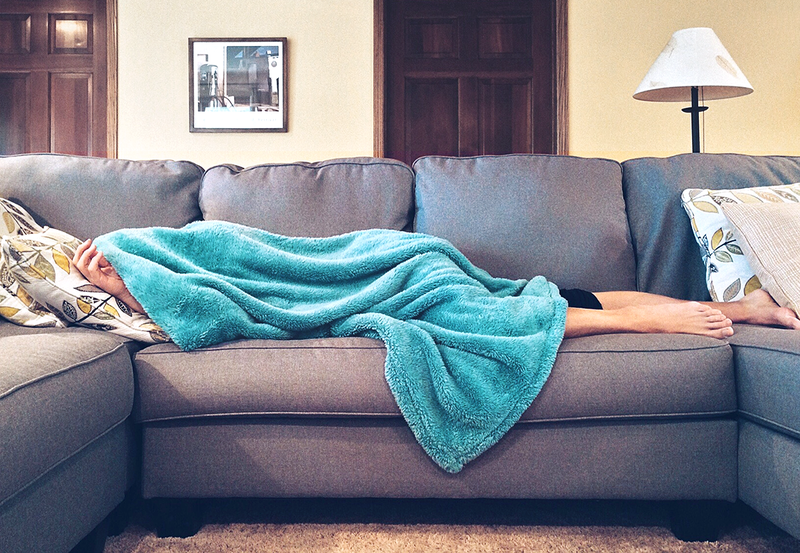 A good rule of thumb when approaching a mental health day off is this: if an employee with a comparable illness or affliction that wasn’t rooted in mental health opted to take the day off, would you count it as a sick day? In most cases, you’ll find that the answer is yes. Naturally, any business should refrain from discriminating against employees who have mental illnesses—and, if your business has over 15 people in it, you are required refrain from said discrimination. By that logic, punishing an employee for taking a mental health day is tantamount to discriminating, though matters aren’t quite as cut-and-dry as that. In most states, you can legally ask for a note from the employee’s doctor if the employee in question misses several days without specific elaboration. The note’s legal specificity, however, varies from state to state; for the most part, doctors are legally obligated to leave mental health information out of the note. In some cases, such as Seattle, the note doesn’t even have to come from a doctor—it can come from the employee themselves. The bottom line for employees is that their mental health days should mandate the same treatment that a physical health day would merit. Presumably, employers have methods in place to delineate between those who need the system and those who exploit it; as an employer yourself, it is pertinent to remember that a few breaks in the system here and there aren’t worth gaining a reputation as someone who is intolerant toward mental illness in your workplace. The best way you can minimize the amount of stigma around paid time off for a mental health day is by removing the label itself. If you have vacation days and sick days, don’t label them as such—just tell your employees that you have a no-questions-asked policy about paid time off. As long as the number of days taken doesn’t surpass the number of days allocated, you don’t have to ask and your employees don’t have to tell. The way you handle your workplace culture is another matter. One way to make sure people don’t abuse the system while feeling comfortable with you in the process is by normalizing mental health issues up front. Tell your employees that, while they don’t need to tell you specifically what they’re going through, they can allude to mental days off without feeling like they have to make up an excuse. Ideally, this will help your employees feel safe and confident in their ability to approach you about these issues, thereby cutting down on the need for time off in the process. One final, crucial aspect of making sure that your employees feel comfortable at your company is by ensuring that HR has the training and tools they need to handle any mental health cases as they arise. You may not be able to secure a trained therapist or counselor, but preparing your HR staff to help employees talk through negative experiences or emotions will make your workplace a more nurturing environment; the more welcoming the company is, the less employees will feel the need to take a break from it. Nevertheless, taking a mental health day occasionally is a proven way to increase productivity, refresh intellect, and bolster performance in general. Whether you suffer from depression or anxiety, or you’re just at the end of your rope after working countless 60-hour weeks, you shouldn’t have to worry about losing money while you attempt to recuperate. Stay up-to-date with PTO requirements and additional clarification when it comes to employees and mental health with Abacus Payroll’s HR Help Center, starting at only $10/ month. Mental health isn’t a straightforward issue, and you’re bound to have unique questions as different situations arise. For more information on how you can help your employees cope with mental illness, call Abacus Payroll at (856) 667-6225 today.